1.1) The student will be able to discuss types of cross-cultural messages typically found in cross-cultural ads. Cross-cultural ads are ads that make a connection between at least two different cultures. 1.2) The student will be able to apply knowledge about types of persuasion to the analysis of a particular cross-cultural ad using Prezi to explain their analysis. 1.3) The student will be able to apply knowledge about cross-cultural messages to the analysis of a particular cross-cultural ad using Prezi to explain their analysis. 2.0) What is visible versus hidden culture? 2.1) Hofstede deals with hidden culture! Hofstede almost never has any application to the cross-cultural analysis of ads! Hofstede is describing very abstract, implicit values that are hidden culture. 2.2) Ads are visible expressions of culture. Ads are visible, visual, explicit and largely purposeful expressions of culture. 2.3) Ads use ethos, logos and/or pathos in order to persuade their audience. 3.1) Our company brings our national culture to the world. 3.2) Our company is a cross-cultural facilitator. 3.3) Our company embraces diversity among our customers and/or employees. This is similar to the global village theme below but shows communication between cultures within a nation rather than between nations. 3.4) Our company is helping to create a global village. The emphasis is on the company creating interpersonal relations between people in different nations. 3.5) Our business has a global reach and/or global scale. The emphasis is on goods and/or services rather than on creating interpersonal connection. Is the following ad cross-cultural? 3.6) The ad highlights the fact that the universal human condition transcends narrow national culture. All humans need education regardless of their national culture! All humans need entertainment regardless of their national culture! The above list is a work in progress. 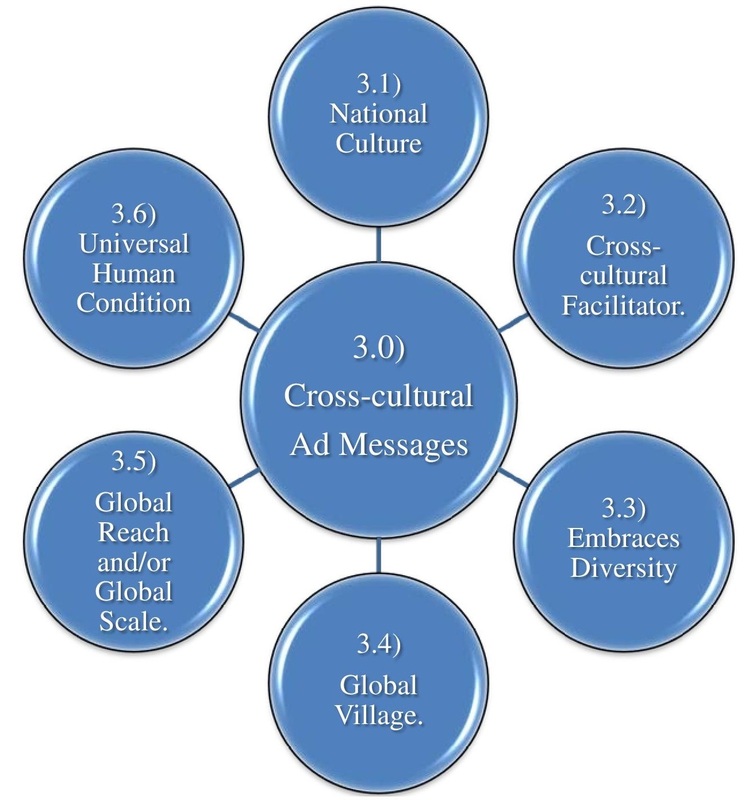 The student may find an ad that meets the project’s definition of cross-cultural but does not neatly fit into any of the above message categories. The ad is made by the Tourism Authority of Thailand (TAT) but unbranded is this ok ethically? Explainer | What is Viral Marketing? Is the “I Hate Thailand” ad a viral ad and/or guerilla ad? What psychological trick does the ad use? What online YouTube data can we use to test effectiveness? What do the “likes” for the ad tell us? What do the comments about the ad tell us? Compare and contrast the I Hate Thailand ad with the Never Go to Thailand ad. 4.0) Alternative Project: Company Localization of Ads. The student can choose to compare two commercials from the same company that show evidence of localization. The student must pick ads in which the company changed their ads in two different nations in order to meet local cultural conditions. The student will compare and contrast the two ads. 5.1) The ad must be cross-cultural i.e. show two different cultures either in a montage and/or in an interaction. This guideline will be waived in the case of the Alternative Project option. 5.2) The ad must be on YouTube. 5.3) If the ad is not in English then the ad must have English subtitles! (1) A section that briefly introduces the audience to the company. (2) The embedded YouTube advertisement being analyzed. (3) Identification of the type(s) of persuasion used. (4) Identification of the type of cross-cultural message. (5) Identification of advertising technique(s) used. 5.5) Each student should analyze different ad(s). The instructor will assign a student to act as a manager to make sure every student analyzes a different ad(s). 5.6) The failure to follow any of the above guidelines may lead to a deduction of points.